If you want to hang out outdoors in Costa Dorada, there are certainly plenty of places to do it. Of course, if you’ve rented a private villa with a pool, you’ll want to spend time there. But if you want a change of pace, check out these four beaches! 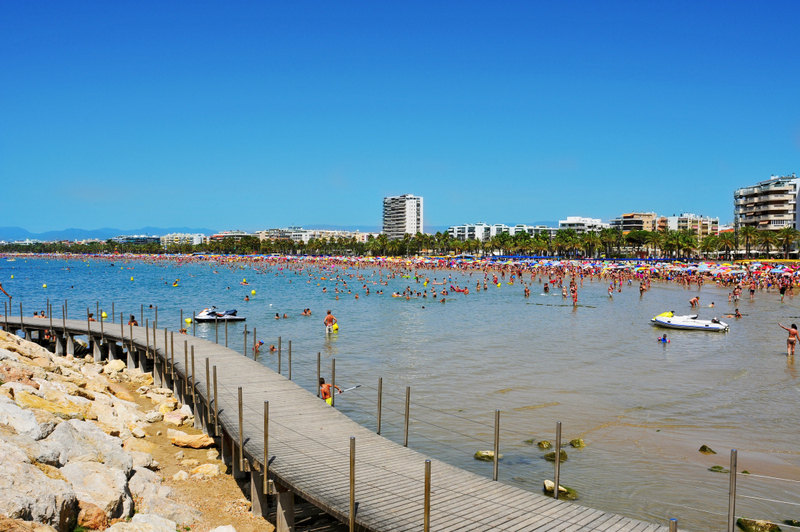 This gorgeous beach is near Salou and has beautiful sand, gorgeous water, and a stunning view of the city. Go swimming, get a floating device (some look like giant inflatable slides or water rides), or find a place for boating, diving, and snorkeling. There are plenty of restaurants, shops, and nightclubs nearby if you get hungry or want a little more amusement when you’re done with the beach. This beach is perfect for families of all shapes and sizes. At the top of Salou is another amazing beach, this one a little more isolated and not as crowded because it is further from the city. They have a beach bar, a banana boat, plenty of sun loungers, and beautiful surf and sand. You can admire the view of both the ocean, the tropical vegetation, and the rock formations around you as you relax in the sun. A quiet resort beach, Playa de la Pineda is most well-known for the giant plastic plant sculptures nearby. This area is great if you want to get away from the crowds and sunbathe in peace and quiet. The area is surrounded by trees, the water is warm and wonderful, the sand is perfect, and the view is stunning. There are still plenty of restaurants and shops around if you get peckish or just want to get out of the sun. Busy yet clean, the Capellans Beach is surrounded by resorts and hotels, so you’re certain to have company at all times. The view is amazing though, part tropical island, part city, all beautiful. You’ll find plenty of sun loungers, some in the sun, some under umbrellas, and some under awnings. There are several restaurants, shops, and nightclubs nearby if you want some extra fun. And, of course, this beach offers a lot of watersports that you can check out if you’re tired of sunbathing or just swimming in the gorgeous waters. Did you get a sunburn? Hopefully not! Either way, we’re certain you had a great time! Now you can head back to your vacation rental in Costa Dorada to think about what an awesome time you had and maybe plan what you’re going to do tomorrow.